If you believe in the symbols of the universe, Ajmer has the perfect one signifying harmony. The Dargah Sharif is revered by Hindus and Muslims alike. Ajmer has a lot of temples for you to explore and beautiful lakes for your evenings celebrating each others’ company. 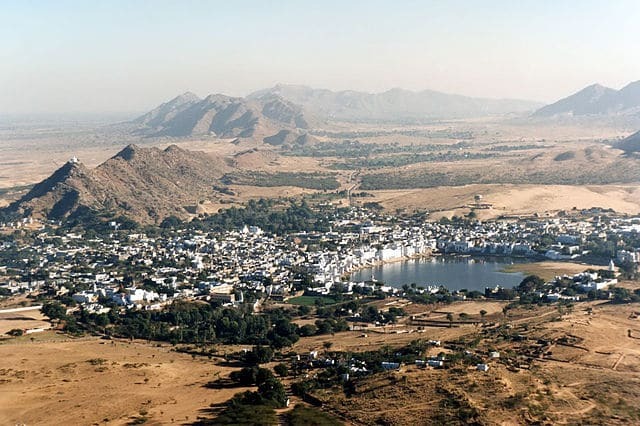 The legend about Pushkar involving Lord Brahma and his wife, Parvati should be enough to attract newly-weds to it. But if that’s not enough, the Pushkar Lake is mesmerizing. You two will love the camel safari which takes you through expanses of gorgeous golden sand, colorful and vibrant villages, tranquil hills in the horizon and sunrises and sunsets that paint the sky a beautiful hue. If you can, you should definitely catch the Pushkar fair which offers decorated camels, folk music, dance and art and happens around October. Make sure you live in Man Mahal in Pushkar- splendid architecture and breathtaking views and live like the Royalty you feel like! If being a King or a Queen and living in grand palaces is the dream you cherish, this is the place to realize the dream. 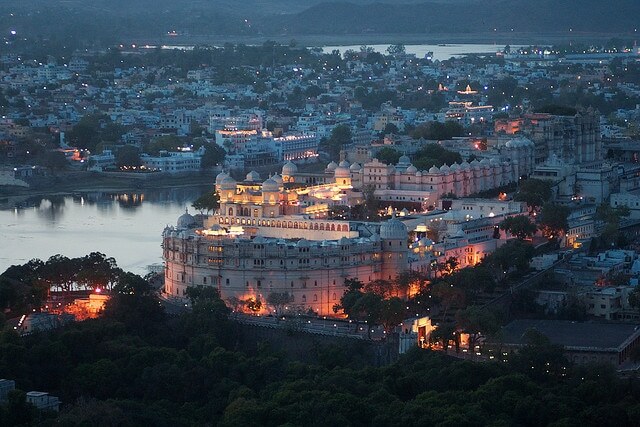 Udaipur has stood the test of time in the form of the magical constructions- forts and palaces and Havelis! You can live in the magical Lake Palace- situated in the middle of a lake. You get to ferry in and out every day and live amidst the tranquil waters. You can visit Sajjangarh, the palace built on a fort and witness the mesmerizing sunset standing over the Fateh Sagar Lake. You can also visit the City Palace- which though not very easy to notice was built by multiple Maharajas and the result has turned out to be exquisite and unique. It also holds an enchanting museum. For the car-lovers, Udaipur has a brilliant collection of vintage classic cars. This is the place to go to on New Year’s Eve as the Shilpgram festival- celebrating arts and crafts- adds another dimension to the beauty of the place! So you’re ready to step into the world and prove how your love is different, beautiful, and special? 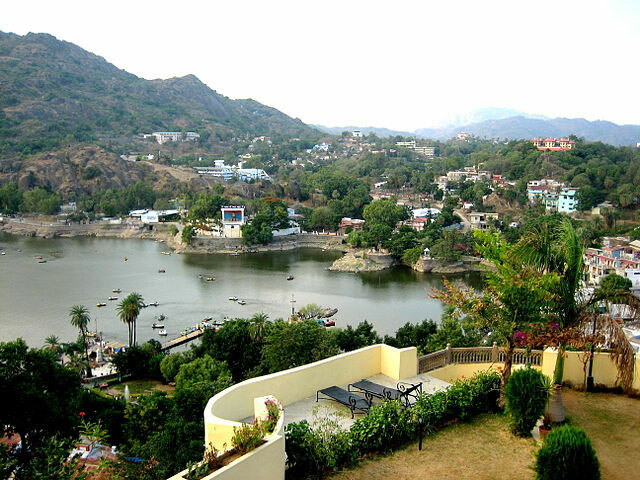 Well then you’re sure to form a special bond with Mount Abu– the hill station in the desert! The Dilwara temples have beautiful marble carvings which remind one of timeless beauty. Mount Abu has some very interesting examples of ‘things are what you want them to be’- in the Gaumukh temple, a cow’s head has been sculpted around a natural spring while Toad rock is called so because it looks like a toad which is poised to jump into the river. Gurushikhar, the highest peak of the Aravalli range offers a breathtaking view and a perfect backdrop for an intimate conversation. And for the romantic boat ride, Nakki Lake is the popular option. 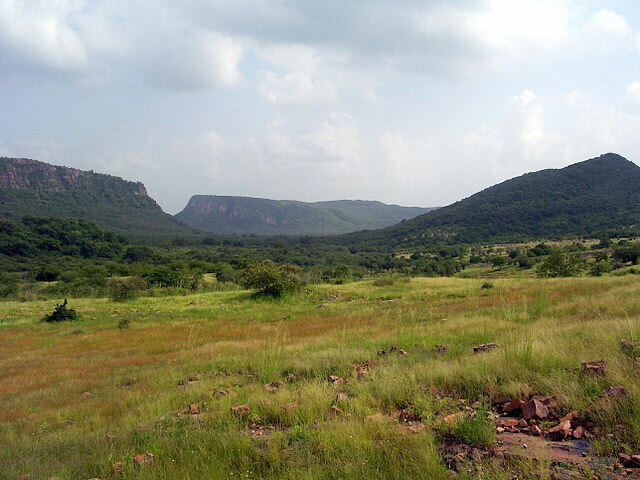 Ranthambore is a National Park. Wondering why anyone would go to a National Park on their Honeymoon? Well, the family life you have just committed too is not very different from the ones you will witness here. You will see baby monkeys trailing behind their mothers and deer running in well structured pacts. The main attraction are the Indian Tigers which can be seen relaxing or prowling for prey, depending on circumstances- so similar to our everyday lives. Most of the Tigresses here are named- machli, noor being the famous ones- which adds to the realness of the habitat. A significant geological feature found here- very similar to the idea of marriage- is the Great Boundary Fault- where the Vindhya Plateau meets the Aravalli Range. Ranthambore holds a majestic fort and three beautiful lakes, which make it a tiny world on its own! If natural golden is what pleases you, Jaisalmer offers huge expanses of the desert, with sand dunes and camels completing the picture. What makes it even more special is how the local people have made the desert also such a lively and vibrant place, showing how all we got to do is to make the most of what we have. It has been very often compared with the famous fairy tale- Arabian Nights! Folk Music, dance and colorful costumes come alive in Jaisalmer during the Desert Festival in February. Besides, the Havelis are a treat to the eyes and will make you want to use the theme to decorate your house! 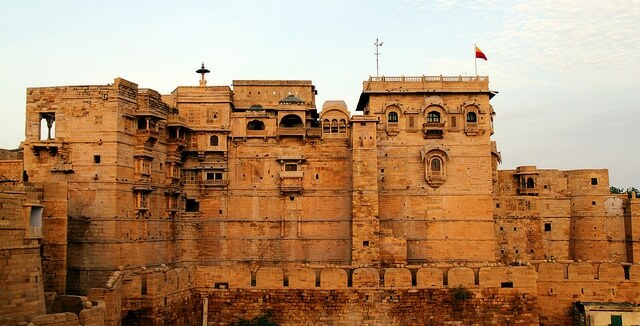 The Jaisalmer Fort is also a must-visit, especially during the sunset when it’s a gorgeous dazzling golden- the blend of the sand on the earth and the sun rays in the sky. You’ve found the love of your life now it’s time to make some beautiful memories together, to last forever. And Rajasthan offers a beautiful, royal backdrop- for photographs, conversations and everything else.